I'm trying to work on a Monmon line, but I'm having trouble coming up with a Mega, Fresh and In-Training stage. Any suggestions? I had considered Marsmon for the Mega, but I'm not sure if that's all that fitting. I like Jijimon for Gokuwmon. He's got Koemon's weird feet plus he's a caveman kind of like Koemon. 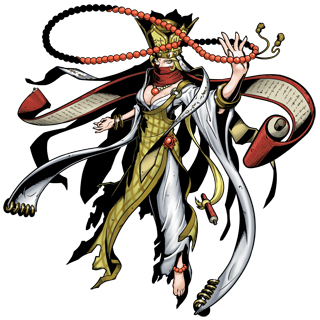 It's even better if you use Mojyamon who has those weird feet and is based on one of the the creators iirc. Hanumon still works well in general though. Actually every monkey and Ape looks like they could fit eachother. Here's my take on some Digivolutions, these are the ones I came up with for characters from a video game series I know of. Some of the unmentioned digivolution lines are the same one used in the anime/video games. 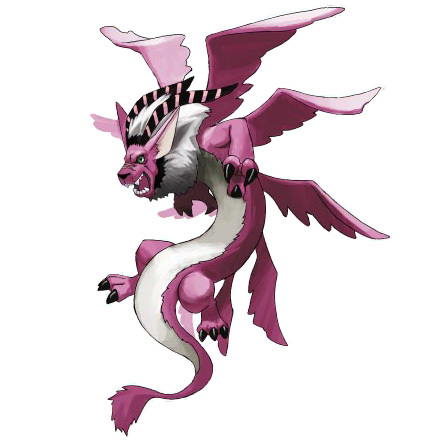 If you replace LoaderLiomon with Mihiramon, you get a beartiger line. Yep, and if you're wondering about the others, Penguinmon is Ninten and his partner's Ultimate and Mega forms “represent” the Flying Men of his digivolution line. Kamemon and Kokuwamon are Jeff and Lloyd's digimon. For Ana's case, her partner stays as Kyupimon. Oh wow I thought I was going crazy because I wasnt sure if it was really Earthbound or not lol. BanchoLeomon or any of the Banchos for Teddy because hea a delinquint trope with his pompadour. 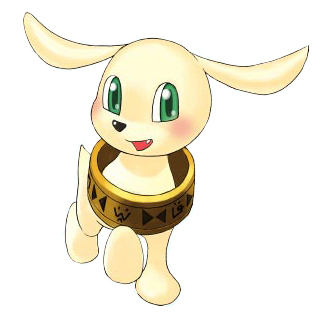 Harpymon is a thief like Duster or you could use a snake Digimon because of rope snake. Shakamon for Pooh because he's Buddah? I finally found the best line for Tailmon X antibody imo. Sanzomon is almost like a new version of Angewomon and she never had any Digimon made just for her when she was created. Using Nefertimon X never sat well with me. 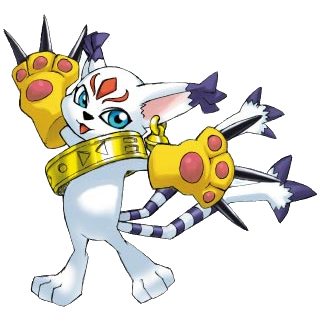 Plus Tailmon's earring can purify things which reminds me of monks. Last edited by flintlock; 04-13-2019 at 01:31 PM. Shakamon could work best for this line. Its golden armor and ring/gateway? tie in nicely with Plotmon X and Tailmon X, and even Sanzomon. It's even a monk. Would Tapirmon fit in as a Rookie form for Shakamon? And what about the Champion and Ultimate forms? I forgot about Harpymon! Funny thing, how the Egg of Light reminds me of the Digiegg of Light like if he tried to steal it just for his partner Hawkmon. If using Quetzalmon and Sandiramon to represent the Rope Snake, should Guilmon be used? Since he’s a lizard, and after all lizards and snakes are reptiles. For Teddy, I think he would have Elecmon to BanchoLeomon line, but similar to Jeri’s case, his partner stays in his Champion form.